Tomorrow the highly-anticipated Justice League vs. The Fatal Five animated feature arrives on Blu-ray loaded with tons of bonus features. 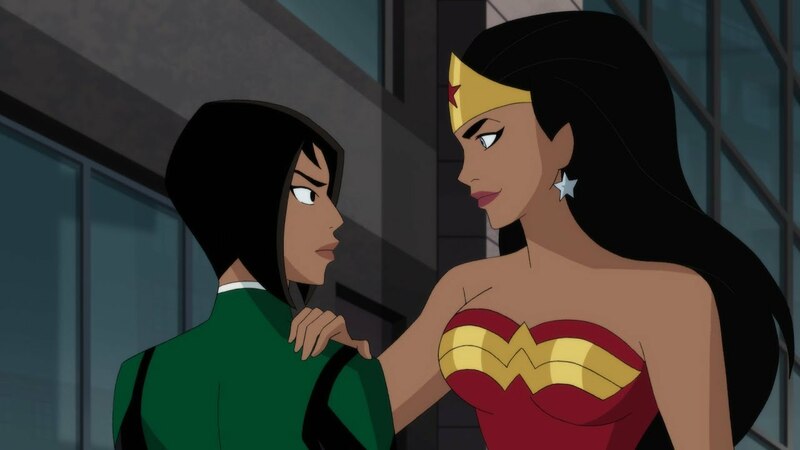 Watch two newly released clips featuring Wonder Woman and Jessica Cruz and be sure to check out our media coverage of the WonderCon World Premiere. The fate of the planet rests on the shoulders of a reluctant Green Lantern and an unstable hero from the future in Justice League vs. The Fatal Five, the next entry in the popular series of DC Universe Movies. Produced by Warner Bros. Animation and DC, the feature-length animated film is now available from Warner Bros. Home Entertainment on Digital, and arrives Tuesday, April 16, 2019 on 4K Ultra HD Combo Pack and Blu-ray Combo Pack.